Our challenge was to create a printed brochure capable of showing off the textures of materials, bringing them out of the page to give readers a real sense of the composition of the textiles. 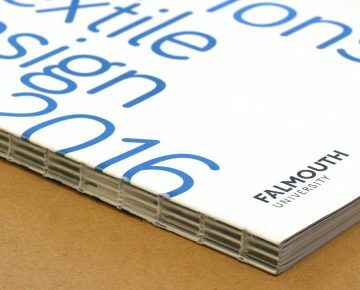 We were approached by a design agency to print the Falmouth University textile catalogue. 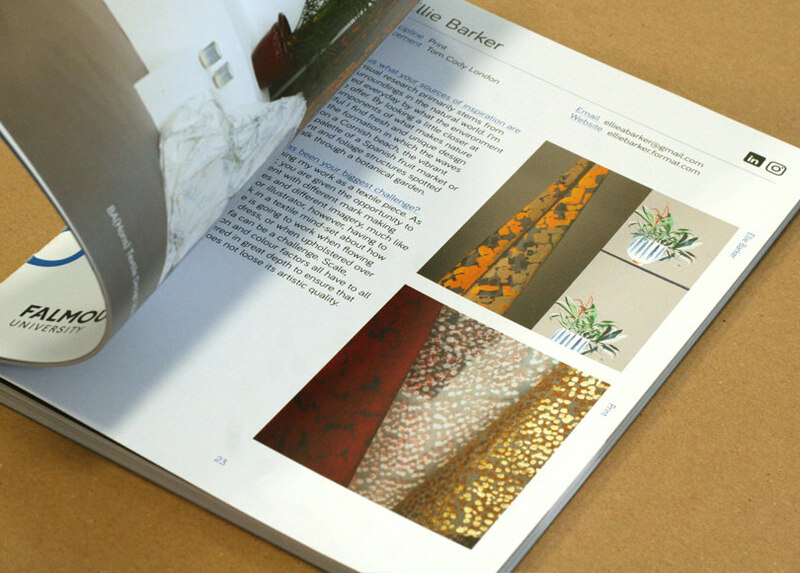 The brochure is a showcase of the textiles designed and produced by Falmouth University students. A hub for emerging creative talent, the brochure needed to reflect the artistry and skill of Falmouth students. The key to bringing the texture of the textiles off the page was down to the choice of paper stock. We selected a stock that takes the ink really well, a coated paper called Heaven 42. We also print at a higher screen level than most printers which makes the imagery sharper. The paper stock selection was really important to ensure the details of the students’ designs were showcased at the highest quality. As was our screen ruling – much higher than other printers – which produces a much finer, more detailed reproduction. Selecting a sophisticated, unusual binding to finish the brochure gives the piece of print a unique look, a sense of something special, indicative of the creativity of the students. The naked spine binding with it’s visible thread was a real challenge. 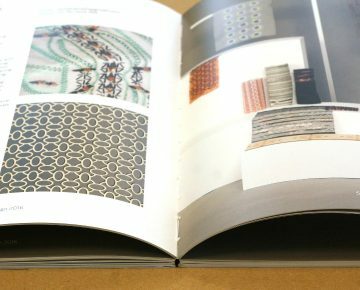 Chosen to represent the textile design work inside, the unusual binding was section sewn and drawn together with the thread – adding a unique quality to the catalogue.